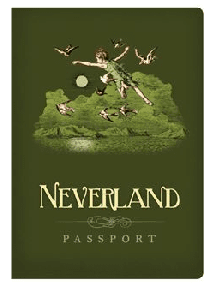 It won't make you fly or prevent you from growing up, but this passport to Neverland and notebook will amaze your friends. Includes travel tips, and an official passport information page. 3.5" x 5". 64 pages.